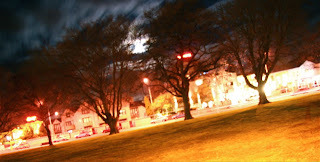 And so I bid my farewell to New Zealand on the night of a Full Moon. definitely can't complain with that now, can I? of the road. Wild stuff. room to keep the sound down in the rest of the hostel." Every country has it's flaws, but none are so visibly obvious. something like 90% of all cars on the road would meet this standard. If the same happened with building regulations, it'll take 100 years. So, in short, great country, but they'd better get the finger out!